Kensie Bear joined Family Credit when she was 10 weeks old in 2015 as the official Company Puppy. In recent years, her position has evolved to Company Dog. 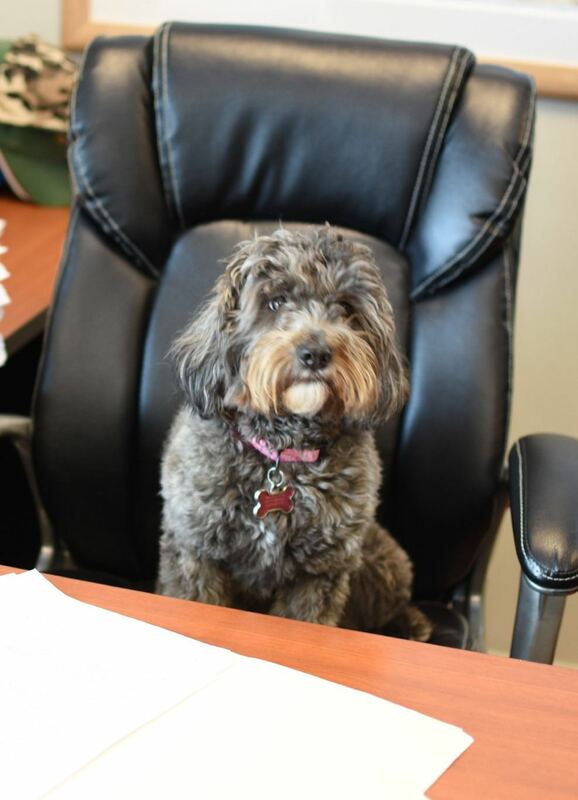 Kensie’s responsibilities include running through the offices, snuggling with all her co-workers, getting treats from the Accounting Department and convincing her friends in the breakroom to slip her bites of their lunch. She is also tasked with ensuring that everyone on Family Credit’s team is happy so they can provide the best client care possible. She stops at nothing to achieve this, whether it means curling up on someone’s lap or giving them lots of kisses. Kensie lives outside Chicago with her human parents and siblings. She enjoys napping, playing with toys and sitting at the kitchen table like a person.